When I read There Will Be Lies last year, it was a clear hit for me. So when I saw the twist of a new kind of novel from Nick, I was excited to see what was inside this Ferris Wheel picturesque masterpiece cover. After reading Under Rose Tainted Skies, a whole new world of YA Fiction was opened up in my eyes. 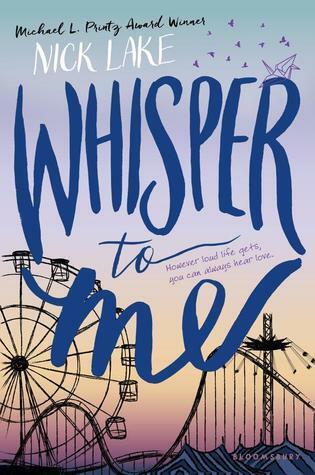 It was so refreshing to see mental illness and real life issues in the Young Adult community, so when I started reading Whisper to Me, and realised Cassie also suffered these issues, I was enthralled to see if it would be acted out realistically and true to life. Cassie, our main character, hears voices. But it's not like the voice that we sometimes hear, like our inner voice, but another. A voice that tells Cassie things. The book is written like a letter, one that Cassie is writing to the boy who's heart she broke, but it's hard to explain to him just why everything happened did. She can't find the right words to explain why she had to hold him at arm's length. 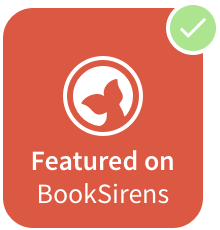 The writing is honest, thought provoking and lively. Cassie is this multidimensional character with this huge heart. She's embarrassed about the voices she hears so sincerely, giving her some real life down-to-earth aspects. Her voice made me laugh, then cry, and root for her so much. Her Dad is extremely protective of her, coming across as more abrasive than most, but he cares a lot for Cassie and wants to shield her. Paris, on the other hand, took Cassie under her wing. Their friendship was out there, but in a good way. They had a quirky sense of friendship, even though they both at times felt broken and not normal, but together they found a new kind of normal. Through the letter, explaining whys and whens and things that she is sorry for and why she broke the boy's heart were heart-wrenching. Everything in her life comes into play with her words to the boy, all leading her to the dark parts of her life. She wants to change things, she wants to say things to him and apologise for something she has done, that ultimately makes her doubt herself. Overall, if Whisper To Me were the weather, it would be a dark sky with the brightness of stars radiating goodness through the blackness, meaning that though Cassie's story might be dark at times, she had goodness in her life. Five stars, of course. Have you read Whisper To Me?